a 7000 square foot home in the quiet suburb of Matthews.Your host George & Linda Megee originated from the Philadelphia area and spent twenty years in South Florida.The home and grounds show a warm Philadelphia sophistication and the eclectic style of South Beach. 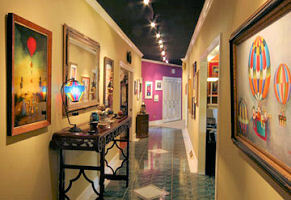 Their home is filled with antiques, art, & creative treasures for you to indulge in. Whether you are traveling as a business professional, relocating to the Charlotte area, visting nearby family, or escaping for a private vacation, Matthews Manor will make you feel comfortable and right at home. 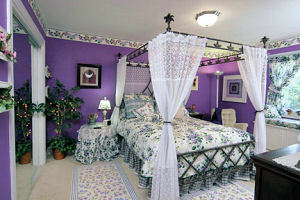 The home has WI-FI through out satellite TV and a kitchen on the second floor for the guests.